A WOMAN con artist who padded her pocket while falsely claiming she was suffering from cancer had her sentence of community work in San Miguelito suspended by a compliance judge on Wednesday, November 7. Instead Milagro Lay must complete the rest of her five-year sentence in prison. She was convicted of fraud on May 10. Her defense lawyer has two days to file an appeal. The judge's decision is based on the fact that, according to him, Lay has not complied with the terms established for her community work. 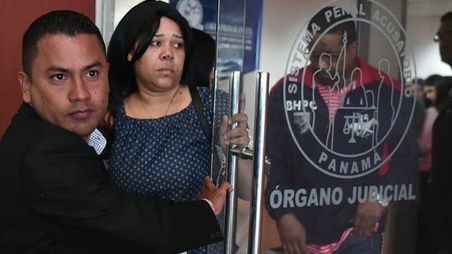 On May 10, the judicial authorities reported that a judge had validated a penalty agreement between the prosecutor's office and Lay, in which the 60 months in jail for fraud, would be replaced by doing community work in the San Miguelito Municipality. Tough Judge ! I like it ! !